The activities typically included are 48 hrs Hop off hop on bus and Gothic Walking tour on Saturday from 9:30am to 11:30am, but if your flight leaves on this day and time is limited you can exchange this tour for Picasso Tour including 1 hr walking and 1 hrs guided tour at the Picasso Museum on Wednesday from 3pm to 5pm or the Modernism Tour on Thursday from 6pm to 8pm. 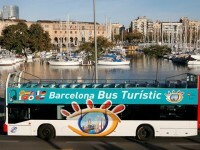 If you’re visiting Barcelona for the first time, or don’t have much time for sightseeing, why not hop on board the Barcelona Bus Turístic? It’s the best and most convenient way to see all the major landmarks and places of interest including double-decker buses with Wifi during 48 hrs and 3 different routs to discover Barcelona at your own peace. 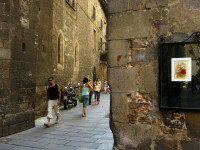 If you want to find out about the historic events in the oldest part of Barcelona don’t miss this walking tour which will reveal the most splendid period of the Catalan capital and its culture which can still be seen today. Every step of the tour is full of history, charm and magic. 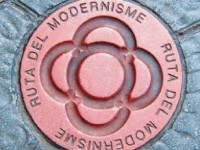 Discover the Quadrat d’Or, or Golden Square, in a guided tour in the Eixample district, an exceptional area focus of Barcelona’s Modernist style (Art Nouveau) at the end of the 19th century and beginning of the 20th. Take a leisurely stroll through this neighbourhood and admire the Catalan Modernist style (Art Nouveau) buildings by architects such as Antoni Gaudí, Domènech i Montaner and Puig i Cadafalch, to name just a few. 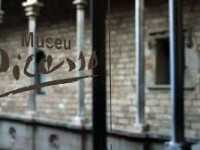 Don’t miss this true open-air museum of Barcelona.